The demands are extremely high in regards to copiers. Majority of consumers are not aware of the mass variety in regards to copiers. Now, let me ask if you have ever wondered what might be the best copier for you? 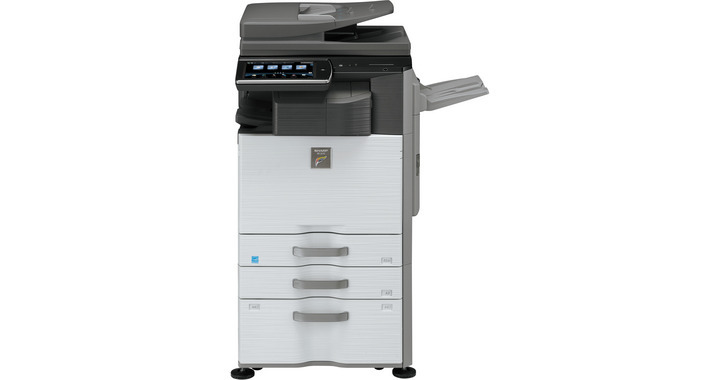 Well, if you need a colour copier which; scans, faxes, copies, prints and well basically does everything you need a photocopier to do then the Sharp MX-2640N is the best fit for you. Let me start by briefly explaining what exactly the Sharp MX-2640N is. The MX-2640N is an advanced multi-platform MFP. With Sharp OSA as standard this MFP seamlessly integrates with many different applications and connects to every major network environment. You can add full internet access for browsing and printing out web content plus the standard wireless LAN adaptor enables connection to wireless networks. This means you can print from any Smartphone or PC in your office/home without having to manually connect each system. Printing documents has never been easier right? MX-2640N produces top quality colour at full speed and comes with two-sided printing, copying, scanning and robust security. Not to mention it prints 26 pages per minute. The 10.1" colour LCD multi-touch screen, integrated retractable keyboard and the tilting LCD panel have been designed with ease of use in mind. You can also add a wide range of options to raise productivity across the office; choose a space-saving inner finisher with electronic sorting and offset stacking, or a saddle-finisher for easy, professional-looking documents. Add fax functionality, extra security, and expandable paper capacity up to 6,600 sheets with a large capacity drawer. For THE LOWEST PRICE Contact Us! !